Conducting TDM activities in the current legal context is very difficult. This is due to the unclear and uncoherent legal framework for copyright licences and to the highly fragmented landscape of copyright exceptions and limitations in the EU. In this blogpost, we’ll discuss the current legal context and what needs to be changed to open the paths for TDM in the EU. 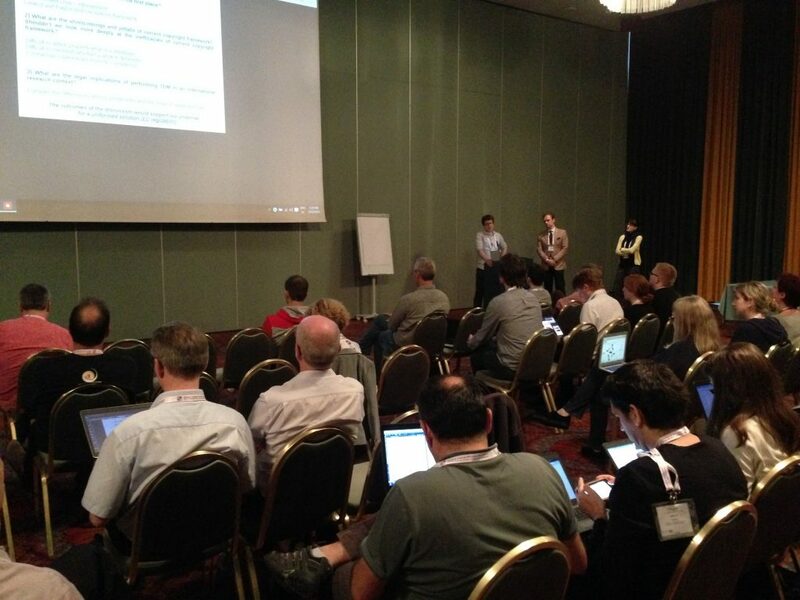 At the OpenMinTeD workshop on Cross-Platform Text Mining and Natural Language Processing Interoperability, hosted at the LREC2016 conference on the 23rd of May 2016, OpenMinTeD brought together a “Legal Aspects and Policy” expert group to discuss this topic. The group, led by Thomas Margoni, Giulia Dore (University of Stirling) and Lucie Guibault (University of Amsterdam) focused on the legal and policy based implications of aggregative, derivative and transformative undertakings that are inferred in TDM activities. The group’s discussion was initially prompted by two earlier talks delivered by Thomas Margoni and Penny Labropoulou (Athena Research Center / ILSP), both based on two papers submitted to the Conference with the collaboration of Stelios Piperidis (Athena Research Center / ILSP) and Giulia Dore (University of Stirling). The former paper related to the question of why we need a text and data mining exception (and yet, it is not enough), and the latter concerned the methodological overview on legal interoperability issues in the framework of the OpenMinTeD project. Both papers are available on here. Regarding the first paper, the authors clearly advocated in favour of a mandatory TDM exception at the EU level (something that is currently under discussion by the EC), but not limited to non-commercial or research activities (differently from what is at present being debated by the EC, although different proposals and wordings are being considered). Nevertheless, the main point of the paper is that what the EU really needs is an open norm, flexible and adaptable to the technological development that will fill the gap between the EU and other more dynamic legal systems such as (at least in the specific case of TDM) the US. Regarding the second paper, authors aimed to provide a first analysis of legal interoperability within the OpenMinTeD context giving a particular emphasis to the applicable methodology to develop an open e-Infrastructure for TDM. Stating beforehand that, in most cases, the terms of copyright licenses and rights statements are unclear and not standardised, they explicitly contend how this hinders the effective and interoperable use of resources by the scientific community. Hence, standardisation and interoperability have become a crucial and imperative target to reach in order to allow the fullest encroachment of TDM. Overall, what clearly arose from both talks was the difficulty of conducting TDM activities in the current legal context. 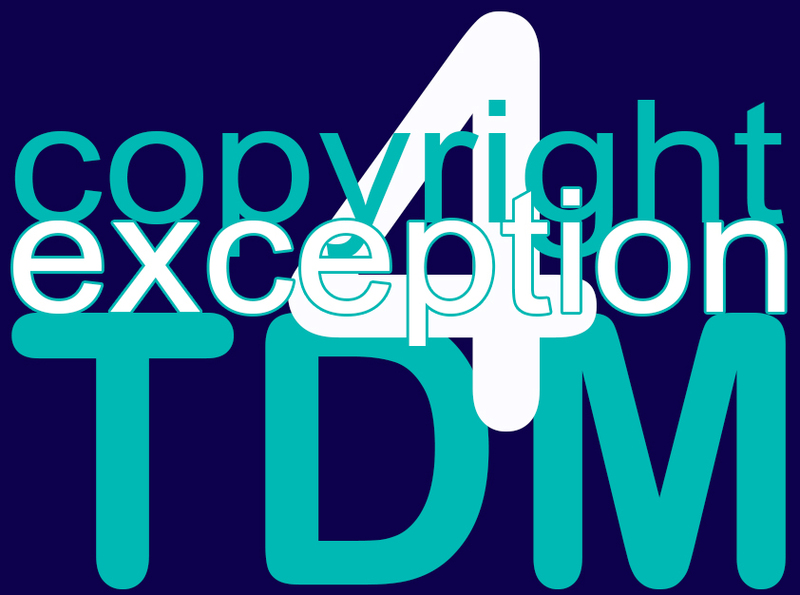 This is due, first, to the unclear and incoherent legal framework for copyright licences, where lack of standardisation and interoperability impedes an accurate use of TDM, and second, to the highly fragmented landscape of copyright exceptions and limitations that impedes the fullest progress of text and data mining. Certainly, many were the associated questions posed by the audience and several the controversial issues debated by participants in relation to the current legal and policy framework for TDM, with distinctive attention given to the scope and limits of copyright and sui generis database right. Among the topics therein discussed, the group’s debate concentrated on why and to what extent existing copyright and SGDR rules inhibit the full development of text and data mining, relying on the tangible inefficacies of the established legal framework that so far prevent the advance of TDM. According to the EU legal framework, right holders must authorise the reproduction of a copyrighted work, although temporary and partial. Since a temporary reproduction is implied for most, if not all, the result is that TDM activities need to be specifically authorised by the author, except when a suitable exception applies. Hence, in absence of an explicit EU mandatory TDM exception, the act of making an unauthorised copy constitutes an act of copyright infringement. In addition, even considering that some of the current exceptions present in Art. 5 InfoSoc Directive could cover “some” TDM activities under “certain” conditions , there is yet a dearth of uniform and consistent parameters, particularly in view of the highly fragmented implementation of copyright exceptions by EU Member States. Indeed, the complexity of such an approach, both in terms of legislation and judicial interpretation, appeared to the group to be a barrier to a wide TDM approach. In conclusion – and in line with the morning’s presentations –, there is a clear and urgent need for a specific TDM exception. This exception should not be limited to non-commercial or research only activities and its implementation is extremely urgent as well as technically achievable in the short term. Additionally, a long-term approach towards a wider and open-ended norm that would not only favour TDM, but likewise a more dynamic and proportionate development of technology and creativity, is of the utmost importance. While the former would be likely achieved by means of (a) EU amending Directive(s), as it is being considered by the EU Commission, the latter would instead require a more structured effort to uniform copyright in the EU, perhaps by means of an EU Regulation (as already argued by many, including the European Copyright Society) in order to favour a more balanced and competitive development of the EU copyright legal framework. This blogpost was written by Giulia Dore and Thomas Margoni, both working at the Department of Law at Stirling University.